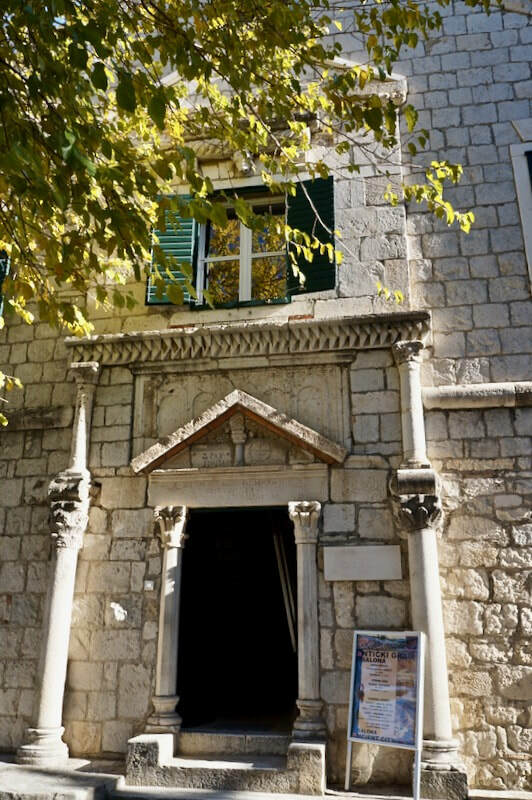 ​If there is one place you must not miss when you are in Split, Croatia, it is Solin. 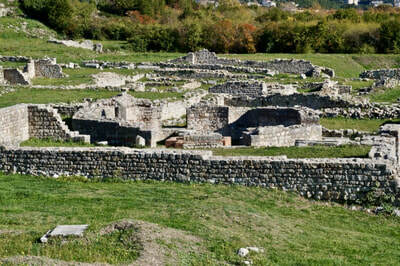 Formerly named Salona, the capital of the ancient province of Dalmatia, it is only about 5 kms. northeast of Split. 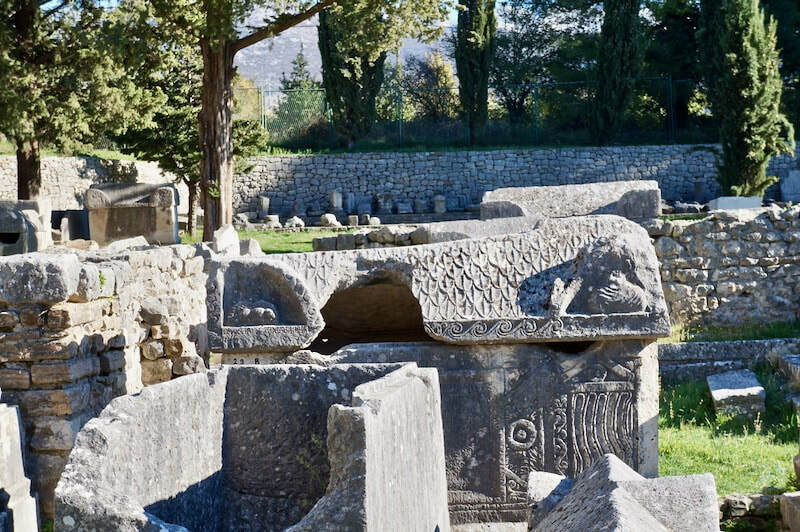 In Solin, the remains of the Roman city of Salona is magnificently preserved today. When Salona was at its peak, one of the most important towns in the Roman Empire and it stretches out at you feet down to the Adriatic. ​The archaeological park declared around the city showcases the remains and it is huge so be prepared to walk to see most of it. However, if you have the imagination of a sparrow, the walk will bring you back to what it was to live in the old Roman Empire. 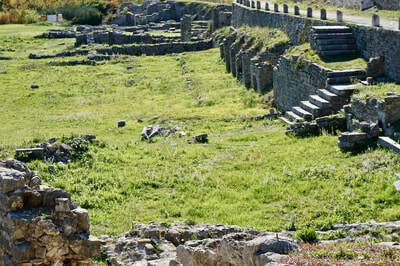 Where is Solin Archaeological Park? Solin, even in the ancient times, attracted adventurers from other lands. Before even the Romans came, there was already an early Illyrian settlement there and the Greeks later established an Emporium (marketplace). The Greeks also connected Salona to their other settlements in the towns of Issa (Vis island) and Tragurion (Trogir) through Via Munita, the oldest road in Dalmatia. So, before Split became very popular, Solin was the place to be in this part of Dalmatia. Split had to wait for the Romans to hit is stride. 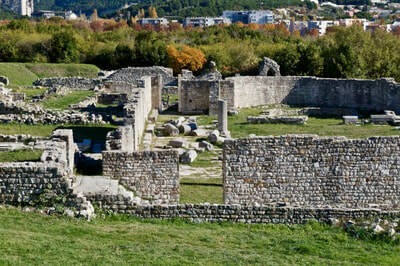 It was around 40 BC-33 BC that Salona became the Roman colony of Martia Ivlia Salona. 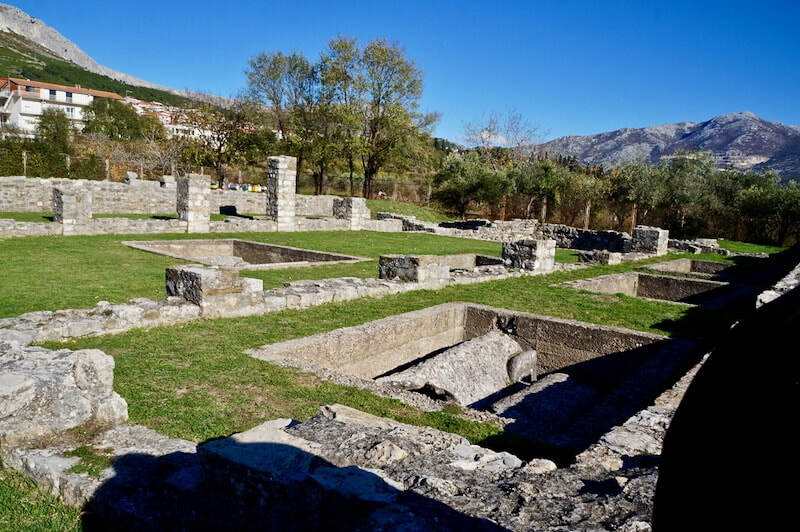 Roman traders flocked to the place and many of the retirees from the Roman army decided to take up residence, contributing to the ensuing growth of Salona, making it eventually the capital of the Roman province, Dalmatia. As is fitting in a Roman capital, a Forum was built and next to it a Theatre with a capacity of around 3500. This was followed by an amphitheatre which could hold about 17,000 spectators to gladiatorial fights with each other and with wild beasts. 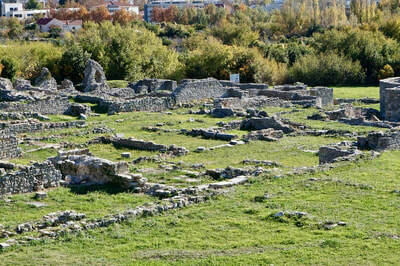 Salona's population rose to about 60, 000 at its peak making it one of the largest towns in the Roman empire. 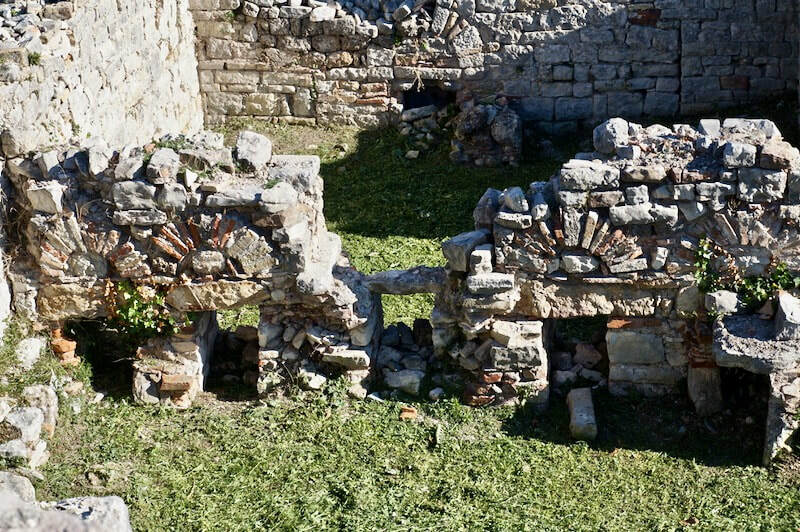 It was also said that Salona had its own mint connected to that of Sirmium as well as silver mines in the dynamic Alps. 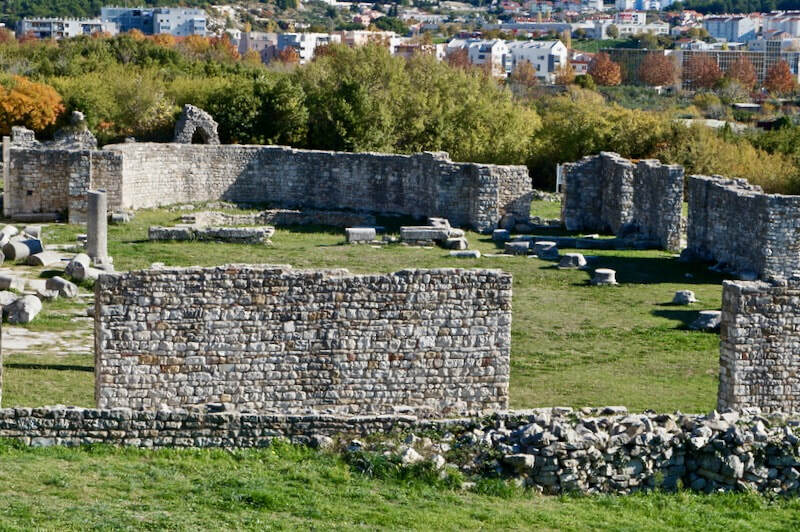 Being close to the estuary of the Jadro and the Adriatic Coast, many Roman veterans and traders settled in Salona, and this propelled its prosperity as a Roman city which merited an amphitheatre, an aqueduct and public baths, a forum and all the other characteristics of a prosperous Roman province. The coastal weather was were the true highways and the flow of trade to Rome was enormous. 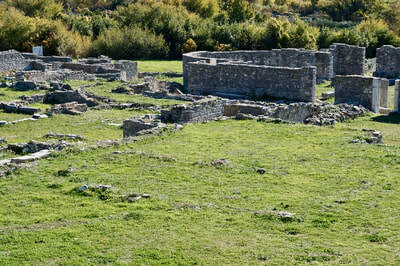 The remains of this old Roman city are very well preserved today in a huge archaeological site. Many inscriptions in Latin and Greek have been found inside walls as well as in the cemetery outside. 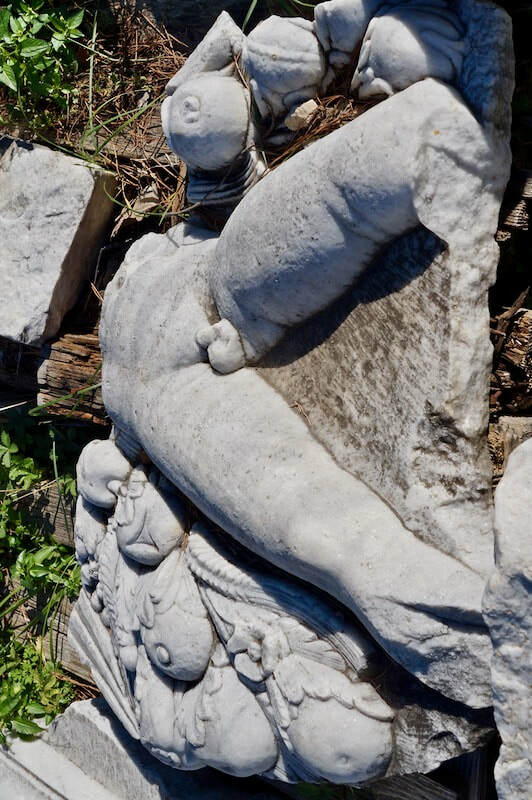 The Romans buried their dead outside so there are sarcophagi discovered outside of the walls. 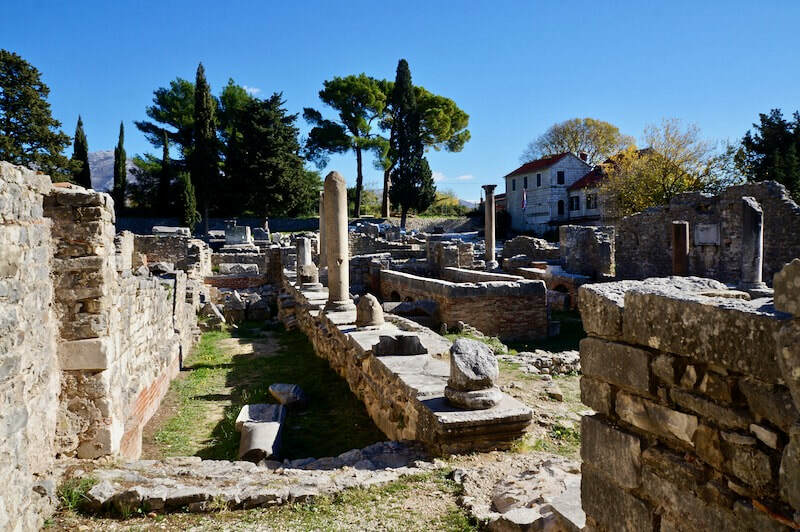 Salona's prosperity also made possible the construction of early Christian basilica and churches honouring the martyrs and the remains are still there for students of sacred buildings to explore. 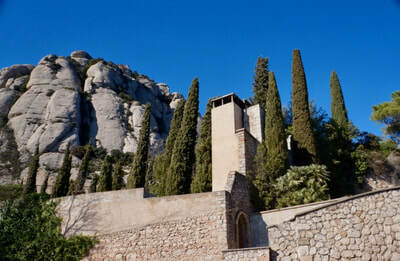 ​The old fortification used to have 90 towers and spanned about 4 km with varying width of 1.9 to 2.5 meters. 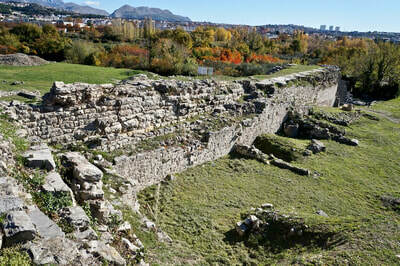 Today, you can walk around the fortification and the other preserved areas outside the walls. Make sure you have a hat and a pair of sturdy walking shoes. Kids can have a ball as pretend roman soldiers! 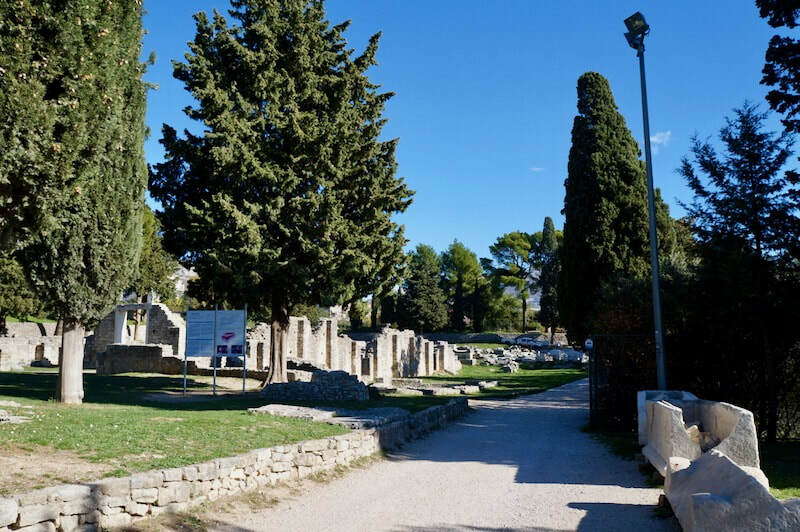 Salona was also the birthplace of the famous Roman Emperor Diocletian who later built his palace in Split when he retired. 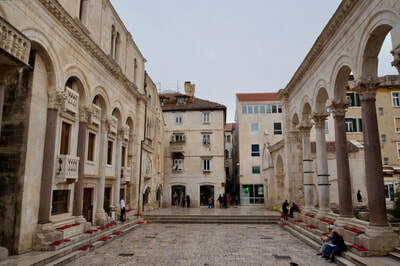 Built between 295 and 305 AD, the Palace of Diocletian is one of the great treasures left from the power of Rome. 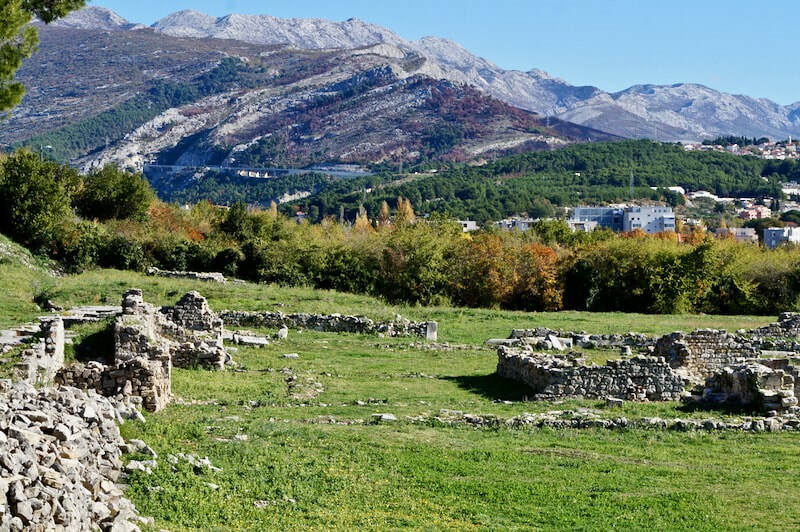 This luxurious fortress and palace built for a man born in Solin was also a garrison for the Roman army so attracted more development and eventually overshadowed Solin. Its eventual decline was struck by the Avars and Slavs in the 7th century when they invaded Solin and most of the inhabitants sought refuge in Split. The pictures above show a comprehensive view of the remains of the Old City. Salona being the capital of Dalmatia, and situated on the Adriatic had easy connections to Italy and the Middle East. It was mentioned in 2 Timothy 4:10 that Titus, one of the disciples of Paul, the Apostle to the Gentiles, travelled to Dalmatia and Solin must have been his landing place. It is not surprising that Christianity had taken root in the area and as early as the 3rd century had already a very well organized church with a bishop Venantius in the capital and priests throughout towns. Christianity in its various cults and subsets,was becoming by the 3rd century a key religion in the empire gaining converts even from the upper classes and earning the ire of the Emperor Diocletian who disliked the chaos of arguing Bishops, and ordered the return to the traditional cults of Rome as well as the worship of the Emperor. This persecution was not just fuelled by Diocletian's desire for power. In fact, he later resigned to tend to his garden. It must be viewed from the rising threat the Christians were posing to the declining Roman Empire and the decline of the old ways. From what can be read, the stunting of the different congregations brought the problems on their own heads!!! In the persecution that followed, about 3,000-3,500 Christians were martyred. When the persecution stopped with the Edict of Milan in 313 AD, the Christians came in droves to visit the tombs of the martyrs such as that of the Bishop Domnius and later built a basilica to honour them. The oldest of these churches is the Basilica of the Five Martyrs built on the tombs of the priest Asterius and the four Imperial Roman guards. ​After the fall of the city to the Avars, the inhabitants who sought refuge in Split tried to recover the bones of the martyrs and placed these in the former Mausoleum of Diocletian, now the Cathedral in Split. 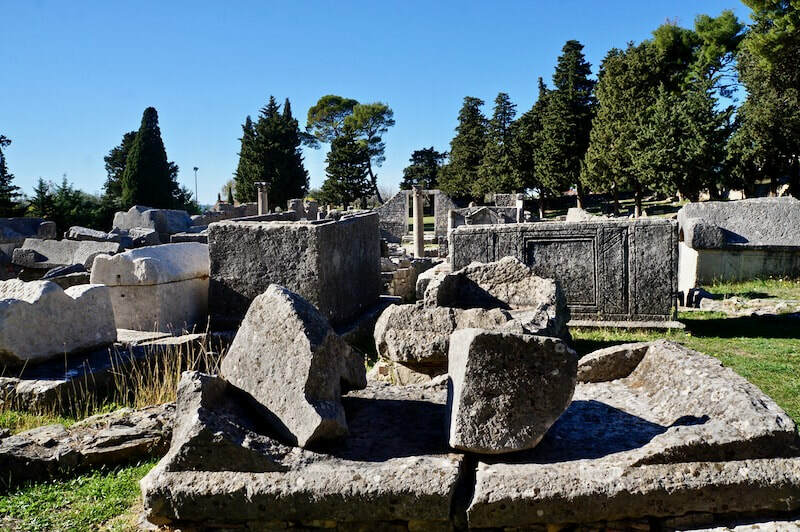 Here are the remnants of the oldest cemetery in Salona, the Basilica of the Five Martyrs, where the Syrian-born bishop, Domnius and the four imperial praetorian guards Antochianus, Gaianus, Paulanus and Telius killed in the Christian persecution by Diocletian were buried. 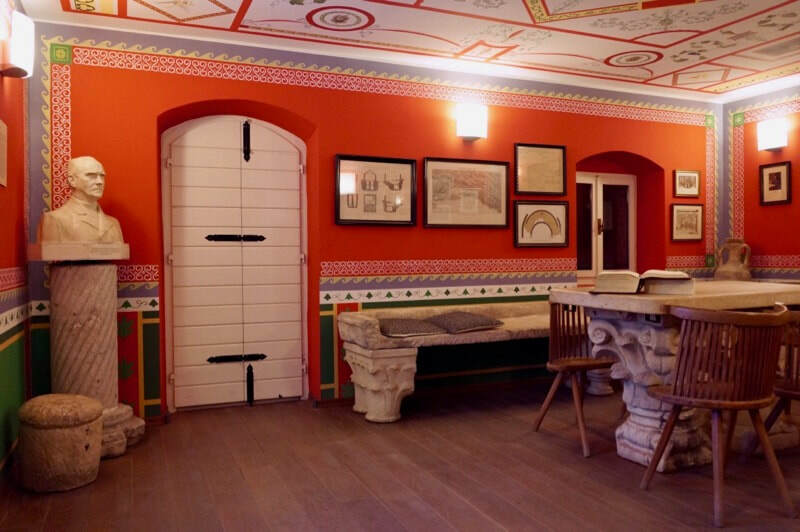 The priest-archaeologist Frano Bulic who was then director of the Museum in Split and builder of this place named it Tusculum from the name of Cicero's villa close to Rome. 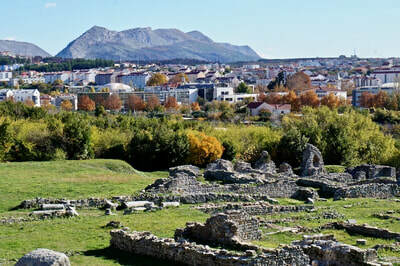 It houses some of the archaeological findings in Solin as well as providing accommodations for other scholars and archaeologists working in the Solin area. 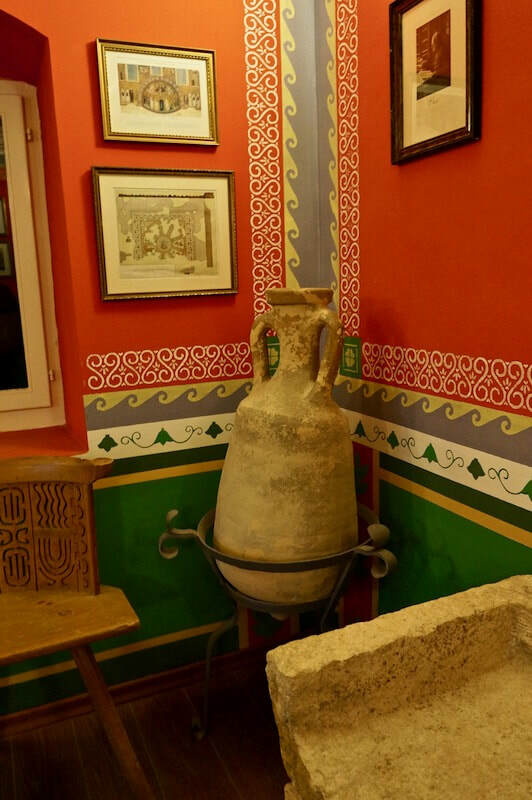 Today, it is the reception for visitors to the Solin archaeological complex. Starina bb, Manastirine - 21210 Solin, Phone/Fax: 021/211-538. This region nearly became a collection of ruins in the 20th century as the wars of the past all came back to remind us that history remembers everything and learns nothing. As we go back 2000 years and watch the endless upheavals of those days, it's difficult to not give a big sigh of despair at the human condition. 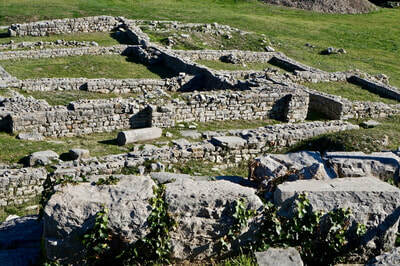 But the beauty of the ruins makes Solin (Salona) well worth a day's walking for real historical contact.